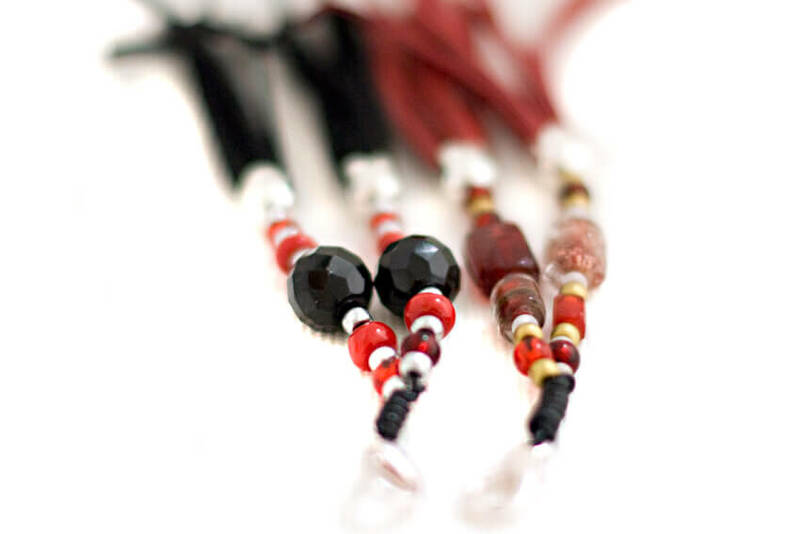 Our beautiful handmade beaded tassels make an attractive decoration for our hound collars highlighting your hound's individuality. Alternatively, they make great key rings and fashionable handbag charms. Please choose the colour and size of your tassel from our current stock. 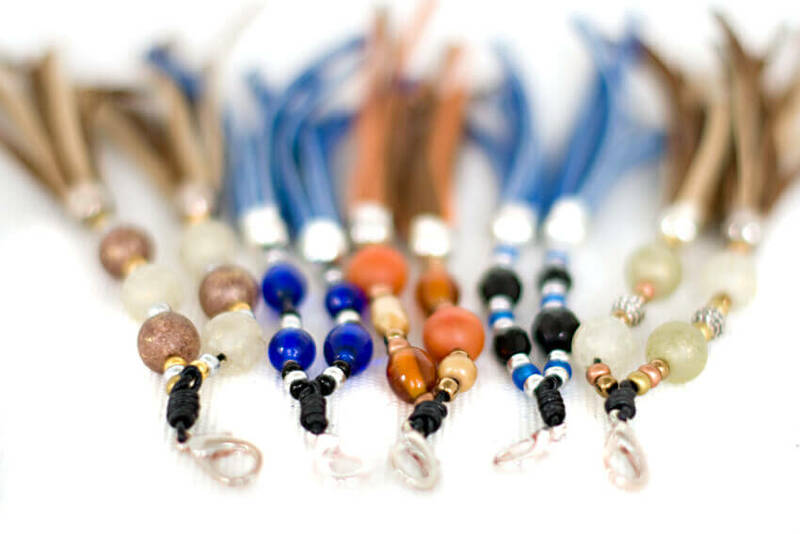 Just let us know your preferred colour scheme and we will create a unique tassel for you to match your hound's collar or a handbag. 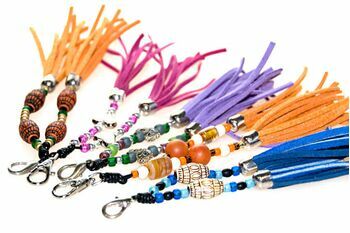 Choose from white, black, red, baby pink, fuchsia pink, green, blue, turquoise, lilac, orange, brown, beige and cream tassel colours. 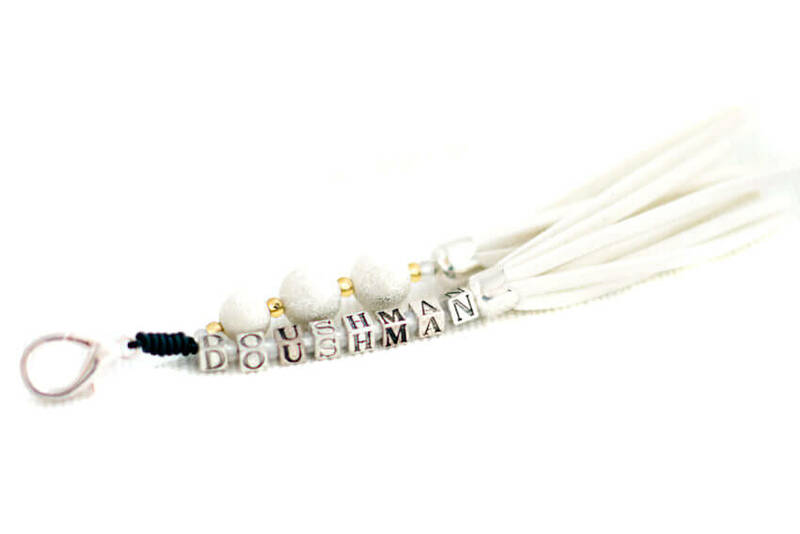 In addition, you can use letter beads to create a truly personalised tassel. Please contact us with your custom requests, and allow up to 2 weeks for your personalised made to order tassel to reach you. 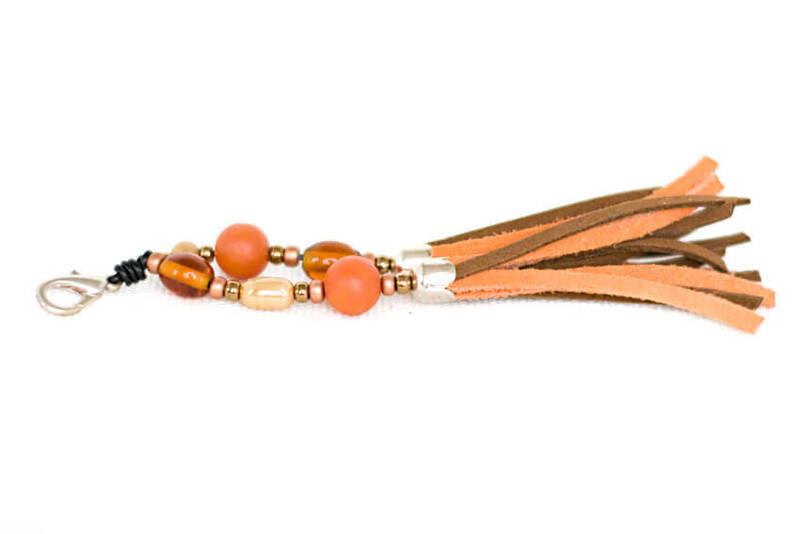 We recommend a small tassel for all small hound collars (XXS, XS and S), and a large tassel for medium and large collars (M to L). Thank you very much for the personalised tassels are lovely, they were worth the wait. Thank you so much for the great collar, tassel and snooood!!! Just to let you know the tassels arrived today and they are fantastic, I'm so pleased with them. They look fantastic on the boys. Thank you so much. I also like the fact that the wire that they are on is really strong. No doubt the tassels will get compliments and I will make sure I tell them about your website. 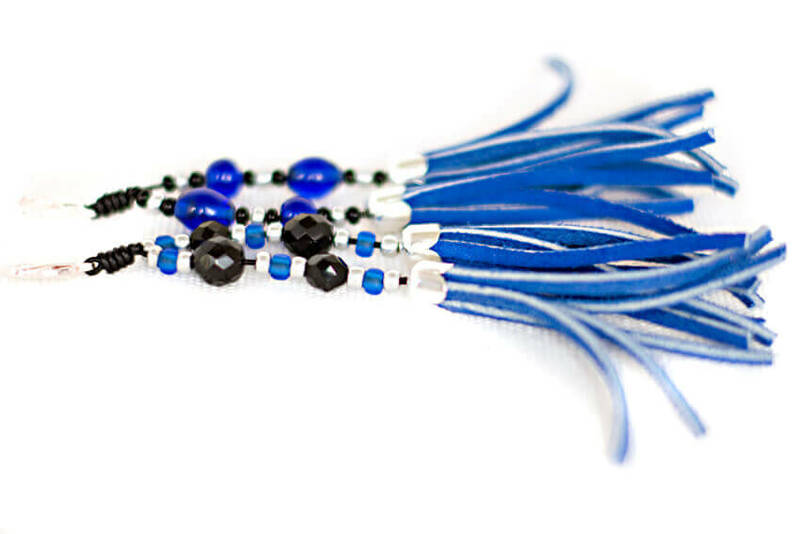 When I need tassels in the future I'll be ordering from you without a doubt.